A national spending study by American Express shows that about 75% of all homeowners do home improvement projects each year, spending more than $4,000 each. Materials account for a big chunk of this spending. For instance, floor tile for a bathroom can cost as much as $20 per square foot, which would add up to $2,400 for a 10-by-12-foot bathroom. One way to cut down this cost is to shop for secondhand materials. Reuse centers and architectural salvage stores, such as the Habitat for Humanity ReStore, sell salvaged and surplus home construction materials at a fraction of their retail cost. The savings can be substantial. When my husband and I remodeled our bathroom five years ago, we found Italian ceramic tile at our local ReStore for only $2.67 a square foot. We also bought a cultured marble sink and vanity top, still in its original box, for $32. And, in addition to the low prices, we had the satisfaction of knowing that we were saving these leftover building materials from the landfill. Reuse centers can sell building materials at such low cost because they get most of them for free. The materials they sell fall into two main categories: salvaged materials, which are ripped out of old buildings, and surplus materials, which are left over from new construction projects. Demolition. A building that is slated for demolition can still contain lots of materials in good condition. Sometimes, architectural salvage teams buy the rights to go in before the building is knocked down and remove usable parts, such as molding, doors, windows, and bathroom fixtures. Salvagers can also find materials by picking through dumpsters or piles of rubble near demolition sites. New Construction. When a new building goes up, there are often some materials left over: lumber, tile, even plumbing fixtures, all in brand-new condition. Rather than pay to store these until they’re needed for a future project, the builder can choose to pass them along to a reuse center. Since many reuse centers run as nonprofit charities, the builder gets a tax credit for the donation. Renovations. Suppose that you, a homeowner, have just finished remodeling your kitchen, replacing all your cabinets and countertops. Rather than leave the old cabinets and counters out on the curb to be thrown in a landfill, you could donate them to a reuse center, which can pass them on to another homeowner who can use them. Contractors can do the same thing with materials they rip out of other people’s homes, saving themselves the cost of disposal. In general, reuse centers only accept donated materials that are in excellent condition. The exact selection of products you can find at reuse centers varies from store to store, and even from day to day, as new materials keep coming in and going out all the time. Most reuse centers do not carry fabric items, such as mattresses, bedding, table linens, or curtains. Some stores don’t sell carpets and rugs either; others accept them as donations as long as they’re in good condition. Also, while many reuse centers sell paint, they typically don’t accept used paint as a donation. Instead, the paint is collected at local landfills, mixed together by type and color, and sent on to the reuse center. The line between reuse centers and architectural salvage stores is somewhat blurry. When you look up reuse centers and architectural salvage stores in a given city, many stores appear on both lists. However, in general, architectural salvage stores are smaller than reuse centers and focus on higher-value goods, such as antique furniture and fixtures. Shopping at architectural salvage stores isn’t always as cheap as buying new, low-cost materials from a home center. If you’re looking for flooring, for example, bringing home salvaged heart pine floorboards from an architectural salvage store probably isn’t as cheap as picking up some basic laminate flooring at Home Depot. However, buying from the salvage store allows you to install a high-quality, one-of-a kind floor at a lower cost than you could buying new. 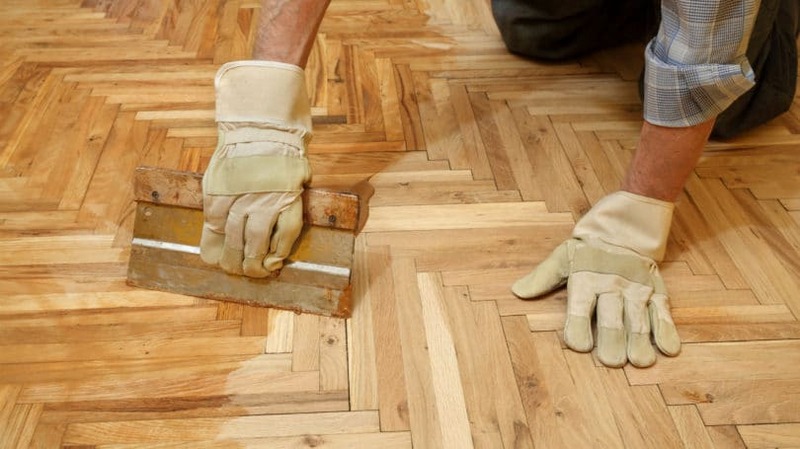 In addition, if you already have old flooring in your home, the salvage store gives you a chance to find a match for it. Old floorboards are usually 4 to 12 feet long, a length that’s rarely seen in new flooring. 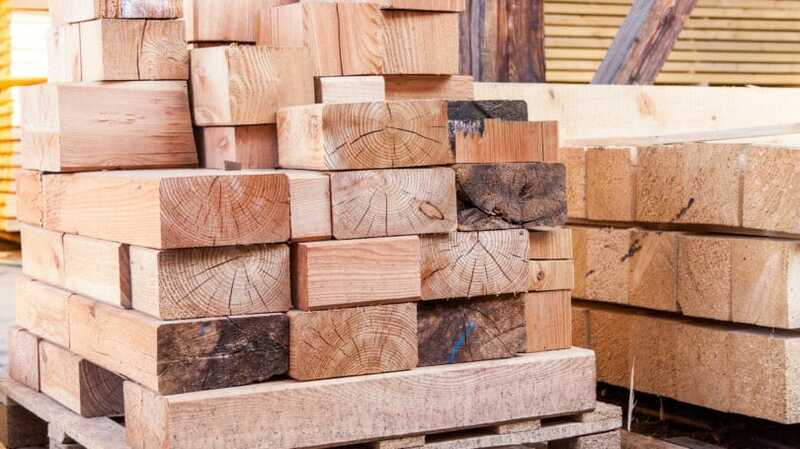 So by shopping at the salvage store, you can match your old floorboards without going to the trouble and expense of having new ones custom-made. Shopping at reuse centers and architectural salvage stores isn’t like shopping at ordinary home centers or furniture stores. You can’t walk in with a detailed list and expect to find everything on it. 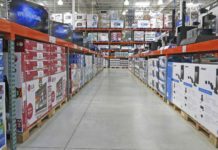 The inventory at these stores is variable, so you can’t be sure of finding a specific product, let alone a specific model that you’ve researched ahead of time. If you go in with the right attitude, however, salvage shopping offers big rewards. Reuse centers and architectural salvage stores sell many items you’d never find at Home Depot, often at amazing prices. If you treat the trip as a treasure hunt, exploring the aisles and looking at everything the store has to offer (rather than focusing on one specific item), you can discover some real gems. Savings. Prices at reuse centers – and often, though not always, at architectural salvage stores – are much lower than the cost of similar products sold new. The Morris Habitat for Humanity ReStore in Randolph, New Jersey, claims to sell everything from plumbing fixtures to paint at 50% to 90% below retail cost. A glance through the inventory at Build It Green! NYC, a mini-chain of reuse centers in New York City, shows such bargains as a stainless steel gas range for $325, a double-basin sink for $60, and a complete set of kitchen cabinets for $745. Vintage Materials. If you’re making repairs to an older home, the modern materials sold at your local home center – doors, windows, trim, and so forth – won’t match the existing finishes in your house. Reuse centers and architectural salvage stores offer your best chance to find materials consistent with your home’s style. Protecting the Environment. Shopping at reuse centers puts salvaged materials that would otherwise end up in landfills to good use. It also saves the natural resources and energy that would go into making new materials and reduces pollution, including greenhouse gas emissions. Learning Opportunities. Some reuse centers, including TLD, hold classes to teach homeowners how to do specific home repairs and home improvements. These classes give homeowners a chance to try DIY (do-it-yourself) jobs hands-on, instead of trying to follow a set of instructions from a book or a computer screen. Limited Locations. Often, the first problem is actually finding a reuse center or architectural salvage store in your area. Although many big cities have at least one, you won’t find them in every shopping center like Home Depot or Lowe’s. There’s a good chance you’ll have to drive several miles to the nearest one. Limited Selection. On top of that, once you get there, you can’t be sure the store will actually have what you want. Reuse centers, even large ones, can’t offer nearly as wide a selection as a regular home retailer. All they have available is whatever people happened to donate recently – so if you go in looking for a specific model of appliance or a whole set of matching doorknobs, you’re likely to be disappointed. New York. Build It Green! NYC has two stores – one in Brooklyn and one in Queens – that sell everything from appliances to windows. Both stores accept donations, and can even pick up large items from your home. The stores also run a composting program, collecting food scraps at 14 locations throughout the city and processing it in worm bins at the Queens location. Finished compost is available at both stores at $30 for a 3.5-gallon bucket. Los Angeles. 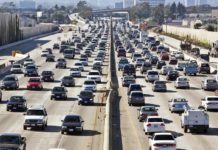 The ReUse People of America (TRP) got its start with a drive to collect building materials to help victims of a flood in Tijuana, Mexico, in 1993. Today it has two warehouses, one in Los Angeles and one in Oakland, as well as regional offices spread across the country. 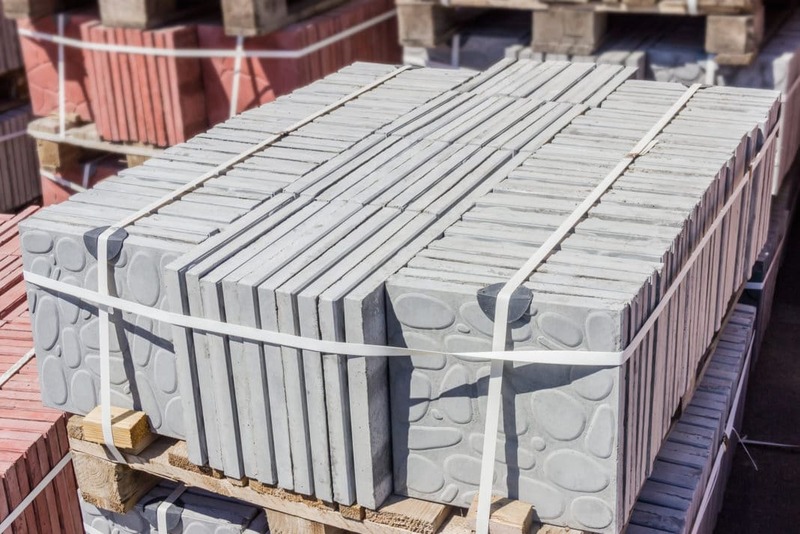 TRP offers “deconstruction” services – an environmentally friendly alternative to building demolition – and sells the materials it salvages in its warehouses. It also provides training and certification in deconstruction and architectural salvage. Chicago. Since its founding in 2009, the Rebuilding Exchange has diverted more than 9,000 tons of building material from landfills, turning it into more than $2 million worth of reusable material sold to the public at affordable prices. The Rebuilding Exchange provides formal training in building deconstruction, materials management, warehousing, retail, and carpentry, as well as offering over 100 hands-on workshops each year to educate people about the many ways to reuse materials. Baltimore. The Loading Dock (TLD) bills itself as “the nation’s first successful, self-sufficient, nonprofit building materials reuse center.” Founded in 1984 in response to the joint problems of poor housing conditions and waste in the building industry, it now serves more than 11,000 homeowners and community groups. In addition to accepting donations from contractors, builders, and individual homeowners, it works with local landfills to collect paint and other reusable building materials, which it sells to the public in its 45,000-square-foot warehouse. TLD also offers hands-on workshops in home repair. Minneapolis. Bauer Brothers Salvage is frequently featured on the HGTV show Rehab Addict, in which host Nicole Curtis works to restore historic houses to like-new condition. She turns to Bauer Brothers for the vintage materials she needs to complete her houses, from doors, to fireplaces, to lighting fixtures. The 93,000-square-foot reuse center, spread across two buildings, is packed with building materials of all kinds, both new and antique. If you don’t live in one of these cities, there are several sites you can search to find a reuse center near you. TLD maintains a nationwide list of reuse centers, with some basic information about each store along with a phone number and a link to its website. However, this list isn’t comprehensive – for one thing, several of Habitat for Humanity’s ReStores aren’t included. To find a ReStore in your area, you can enter your state and ZIP code on the Habitat for Humanity website and get a list of the nearest stores, with contact information for each one. To find architectural salvage stores, consult the nationwide list at Old House Online, the website of the “Old House Journal.” It lists architectural salvage stores in 38 states, plus a few in Canada. There’s also a shorter list on the home blog Apartment Therapy, which includes a few stores that aren’t on the longer list. Using reuse centers is a win-win for everyone. Contractors and builders can get rid of extra building materials without having to pay for storage or dumping fees, and can even claim a tax deduction for their contributions. Homeowners can find high-quality materials for repair and renovation projects at lower prices, and in some cases, attend hands-on classes on home repair. And society as a whole benefits because these centers reduce the need for landfill space, keep the air and water cleaner, and help provide low-cost housing for people in need. Have you ever shopped at a reuse center or an architectural salvage store? What’s the best bargain you found there?